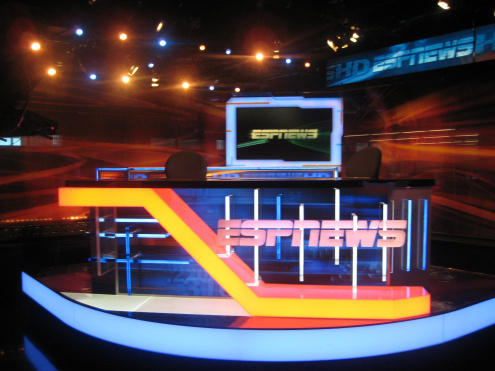 What's in the future of ESPNEWS? What’s in the future of ESPNEWS? Earlier this month it was announced that ESPN was cancelling one of the flagship shows on ESPNEWS – Highlight Express. Although live episodes of SportsCenter also air on ESPNEWS throughout the day, Highlight Express did what its name suggested – focused on highlights. Although there's a section of sports fans longing for the olden days when ESPN would stick to basics and show highlights, the viewers just weren't there. Highlight Express was one of a few shows on television to draw a 0.0 rating. In recent months ESPNEWS has also taken to showing more live sporting events, as the name might not suggest. Perhaps the most notable live sporting event to air on ESPN's 24/7 news channel in recent weeks was the highly anticipated women's soccer game between Canada and the United States. This weekend ESPNEWS will air Confederations Cup soccer between Japan and Mexico Saturday afternoon as well. In addition, the news channel has taken to airing replays of various ESPN studio shows such as SportsNation, Numbers Never Lie, Outside the Lines and others. It could lead one to hypothesize that ESPNEWS is slowly transforming into a channel that looks suspiciously like its big brothers – ESPN and ESPN2. If News showed more live event programming and studio shows, could it some day be rebranded as ESPN4 and bring us halfway to The Ocho? When asked about the future of its programming direction, an ESPN spokesperson confirms the channel has no plans to change its brand name or central vision. ESPNEWS will still be focused on news, information and highlights. At the core of this strategy will be the SportsCenter franchise and ESPN's commitment to airing its flagship show throughout the day. Up to one-third of the live episodes of SportsCenter currently air on ESPNEWS and that will continue. In place of Highlight Express, we've learned ESPNEWS will air replays or time-shifted episodes of its news and information programs such as Pardon the Interruption, Around the Horn, Outside the Lines, or others. This represents a slight shift away from traditional highlights and more towards the news of the day and programs that have proven to draw viewers. As for televising live events, ESPNEWS will still be available to air games to fulfill programming commitments when there is an overflow of content on ESPN, ESPN2, ESPNU, etc the network spokesperson confirms. Although Highlight Express may be a thing of the past (and the all-highlight show in general), the future of ESPNEWS as a news channel appears to not be in doubt. The network may indeed have more flexibility to air live events moving forward – after all, that's where the highest ratings are – but perhaps that represents an evolution of ESPN's networks and the television industry as a whole. ESPNEWS may look slightly different and may better reflect the overall tenor of ESPN's programming direction with more replays of ESPN and ESPN2 shows and a wider definition of what "news" entails. In this day and age, that means less of an emphasis on highlights and more of an emphasis on a mix of highlights, news, and information.